Already serving 60 percent of the top 25 utilities in North America, KUBRA has emerged as a leader in providing digital customer communication solutions in the gas and electric utility marketplace. A subsidiary of Hearst Communications, the 25-year-old Canadian company provides printing and mailing services, e-billing, document management and self-service and payment solutions for more than 550 clients. 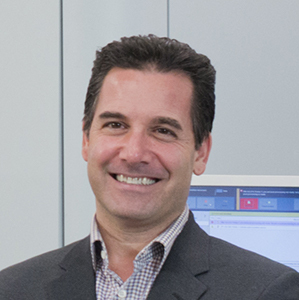 “We were an early adopter of electronic solutions and e-bills, but with our recent acquisition of iFactor we will be in a position to provide an integrated end-to-end suite of customer experience management solutions for our utility clients,” said Rob Iantorno, the Vice President of KUBRA North American Operations/Service Delivery who has been with the company for over 17 years. 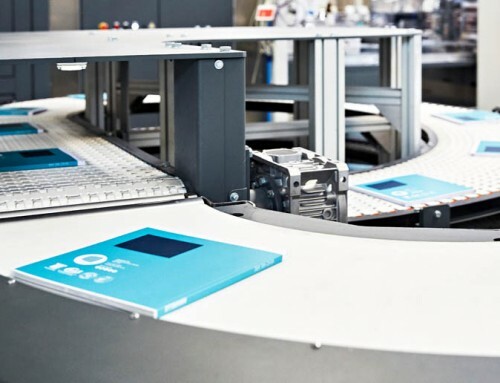 KUBRA manages more than 4 billion customer interactions — from a laptop or mobile device to print – annually and operates four print and mailing production facilities throughout the U.S. and Canada. The company’s more centrally located clients are usually serviced by the Dallas facility, while the Piscataway, New Jersey plant, their largest in the U.S., handles those on the east side of the country. Even though there has been a slight decrease in the overall volume of printed statements, research shows the majority of utility customers still prefer to receive a statement in the mail while also having multiple payment options. “Last year we handled over 900 million print impressions and we’re on track to do more than one billion this year,” Iantorno said. 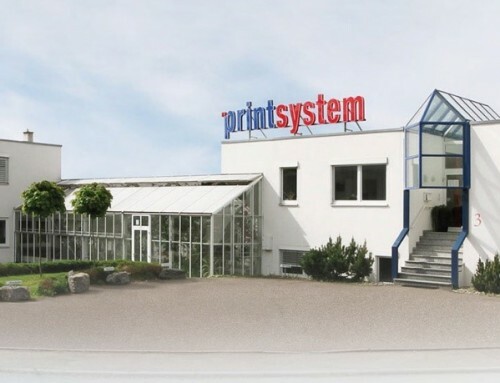 In order to increase efficiencies and provide a consistent look in both print and online communications, KUBRA decided to transition the company’s production processes from monochrome toner printers to inkjet color technology. Knowing that whatever vendor was chosen would be utilized in all of their production facilities to streamline their production process, Iantorno said company executives spent a year and a half looking at the available inkjet technology. 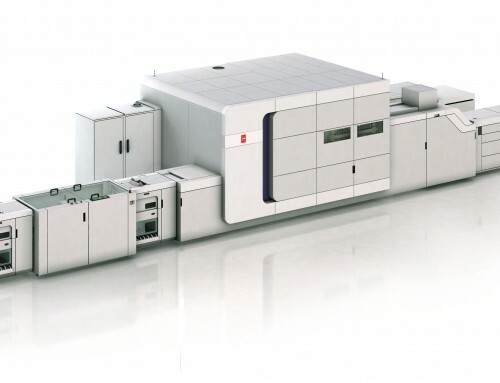 They chose the Océ ColorStream 3900 Twin printer from Canon along with finishing equipment from Tecnau, including a Stack 2320 system and a TC 1550 Plus 1 Dynamic Perforator. The new equipment was first installed in the company’s headquarters in Mississauga, Ontario, followed by Dallas, Texas and then at their New Jersey facility in the spring of 2016. 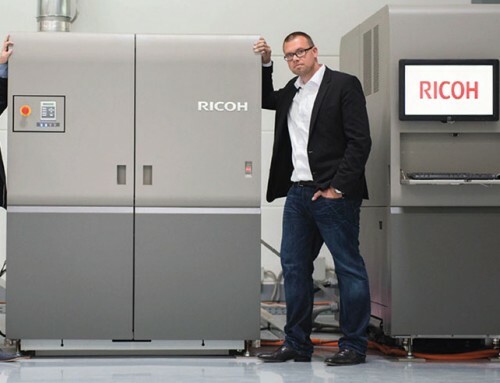 “In Mississauga, we ran the printer for an entire year for just that one client and there was a lot of leftover capacity, but we experienced less down time and more up time,” he said. While the company had to handle internal challenges with the first install, Iantorno said the second and third installations were much easier and smoother, with more lessons learned. Already utilizing Tecnau’s roll to roll equipment in all of their facilities, even after exploring competitive products they decided to move forward with the company’s equipment. Using Tecnau’s most capable cutter, the Stack 2320 system operates in line with the Océ, matching its speed, and delivers 1, 2 or 3-up offset stacks with variable full bleed cuts, a must-have function when printing full-color. Cutter c23’s double-cut function allows bleed printing in the running direction of the web and removes the flush line that high-speed inkjet printers require to keep the print-heads fresh. 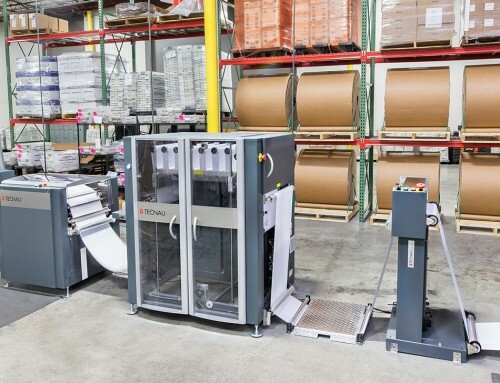 The TC 1550 PLUS dynamic perfing capabilities allow for coupons to be integrated into the printed product, enhancing their client’s ability to communicate with their customers. Now KUBRA’s clients have the option to utilize onserts, which can be much more efficient than the traditional inserts. 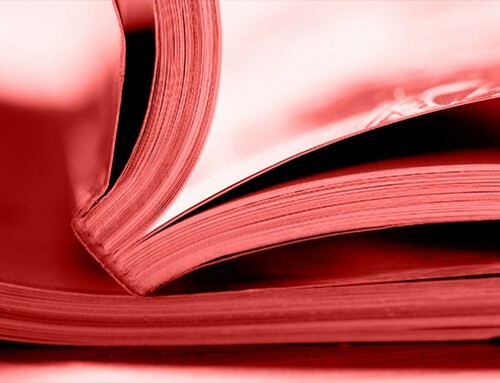 Unlike a page that has to be printed and then inserted into the printed piece, an onsert is a separate, often targeted advertisement that is affixed to a page and part of the original print file. “Some clients don’t grasp the benefits until they see it live and operational, but then they understand and we believe more will take advantage of these capabilities,” he said. Winding up a major undertaking, KUBRA will soon complete the final equipment installation. “Now we have a technology we’re comfortable with, that runs well and we’re able to move files around to all of our facilities to better serve our clients,” he said. 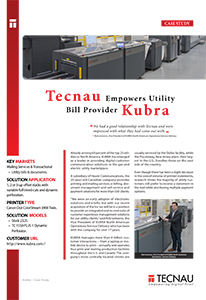 “We’ve been extremely pleased with the performance of the Tecnau equipment. Both units have been successful installations for us,” he added. 1, 2 or 3-up offset stacks with variable full bleed cuts and dynamic perforation. Canon Océ ColorStream 3900 Twin. TC 1550 PLUS 1 Dynamic Perforator. We had a good relationship with Tecnau and were impressed with what they had come out with.